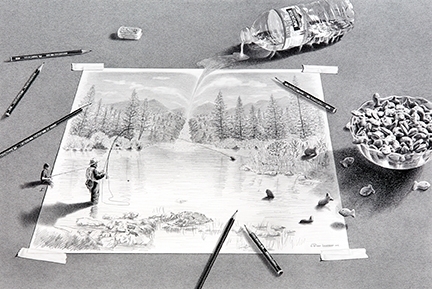 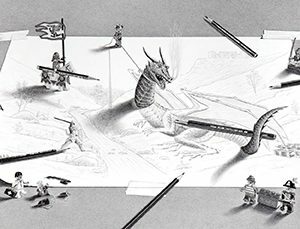 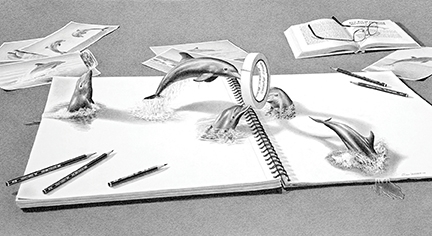 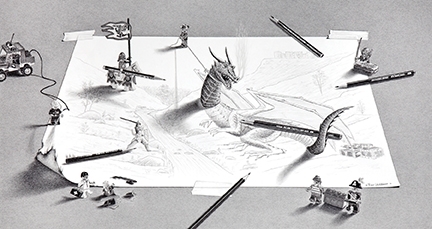 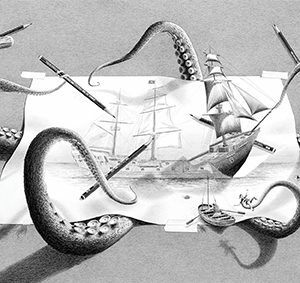 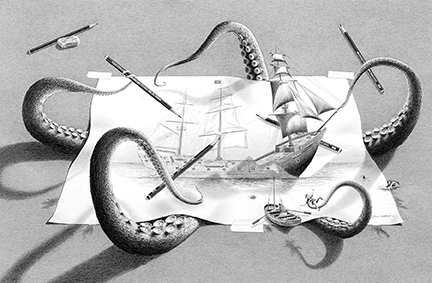 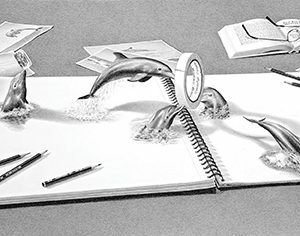 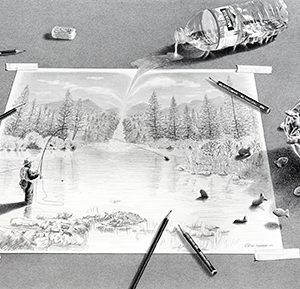 Meticulous graphite pencil drawings by Wisconsin artist Robin Lauersdorf, long interested in M.C. 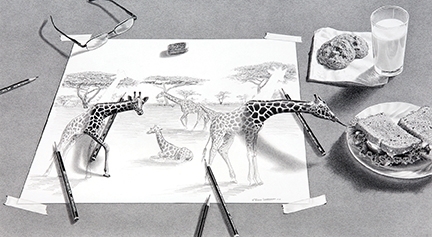 Escher’s work, are featured in an exhibition organized by Woodson Art Museum curator Andy McGivern and on view concurrent with the M.C. 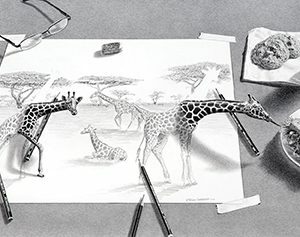 Escher: Reality and Illusion exhibition.